Hi crafters! 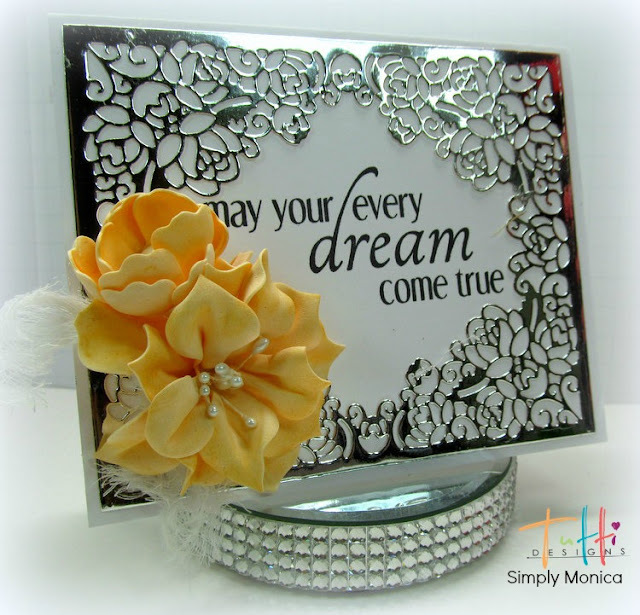 Monica here with an elegant Tutti Designs card using Rose Frame TUTTI-178. I wanted to create a simple yet elegant card and this is the absolute perfect die for the occasion. Then I made a flower out of foamiran and inked the edges with some distress ink. Popped in some stamens for the centers. Also,it's hard to see against the white but I used some gauze sort of like a make shift ribbon. Beautiful. This is one of my favorite dies.